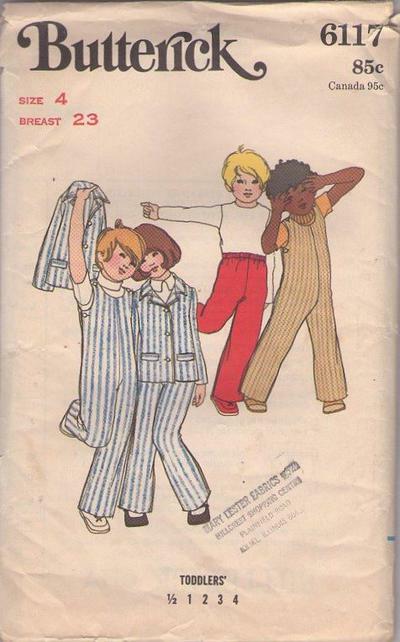 70s Children, Retro Beginners Clothing Patterns - TODDLERS' OVERALLS, JACKETS & PANTS. overalls have shoulder and side button closing. Single breasted jacket has roll collar, pocket welts, full length sleeves and top-stitch trim. Bell bottom pants have elasticized waist. Purchased sweaters and blouses.